How do I find the Adjunct Services website? The Adjunct Services website can be found in MySCCC under Academics~Faculty~Faculty Quicklinks. What is the College's official form of communication? Email is the official form of communication throughout the College and a condition of employment. Important information is delivered regarding all aspects of employment not limited to: Assignments (NORA form) and deadlines, accepting assignments, course certifications, promotion information and professional development programs. It is also used to access your class rosters, submit enrollment and/or grade rosters. It is imperative that you consistently check and clean out your email account in order to keep it functioning. If you have any computer issues please contact the Computer Center at (631) 451-4357. How do I access MySCCC email account? To access your email account log onto “MySCCC”. Your Email tab is the last tab on right or select OWA below. If you have any computer issues please contact the Computer Center at (631) 451-HELP. How do I get a Faculty Parking Permit? Under Quicklinks choose Public Safety or use the link below. Employees at Suffolk County Community College are paid biweekly. During the Fall and Spring semesters there are seven pay periods. For Winter session and the five week Summer session one paycheck will be issued. The eight week Summer session will be paid over two pay periods. Why do I need a SCCC photo ID? The photo ID is a mandatory condition of employment. The Board of Trustees adopted a College policy that all College employees must have an official College photo ID with them at all times while they are working. Where can I go to get my photo ID? Photo ID Locations Ammerman Campus - Selden Ammerman Building - Registrar’s Office (451-4004) located downstairs Monday through Thursday 9am – 6pm, Friday 9am to 4:45pm. Eastern Campus – Riverhead Peconic Building – Room 119 (548-3636) – call first - Monday – Thursday 9am to 9pm, Friday 9am to 5 pm. Michael J. Grant Campus – Brentwood North Cottage – (851-6777) – Monday – Friday 8am to 8pm. What if I miss the Notice of Reasonable Assurance (NORA) deadline? Failure to submit your NORA by the deadline date will result in loss of seniority for the coming semester regardless of your current seniority position. If you wish to be placed on the NORA late list, contact Michele Fitzpatrick at fitzpam@sunysuffolk.edu using your SCCC email account. You will need to include your rank,(instructor, PA, etc. ), the discipline in which you teach, campus preferences in preference order, days and times of your availability and whether you would be interested in a second assignment. According to the assignment rules every adjunct who submitted their NORA form on time is entitled to two assignments before anyone on the late list gets one assignment. No matter what your seniority rank may be, if you did not submit your NORA on time you will not be considered for an assignment until that rule has been satisfied. Can I apply for adjunct conference travel reimbusment funds? Do adjuncts get sick time? Adjunct Faculty shall be permitted to take two absences per course per semester without loss of pay for illness or disability. Unless the course meets only once per week and,in such case, only one absence per course per semester shall be paid for. Why should I consider a community college? Nearly half of this country's college students enroll in a community college. After transferring to a four-year college, the majority will perform better academically than the students who started at four-year colleges. I want to come to Suffolk, how do I apply? You can apply online or you can download the application and mail it. You will need to submit a non-refundable application fee of $40 along with your application. You must also submit your high school final transcript and your immunization records. Absolutely! Suffolk's course credits are accepted at virtually every four-year college and university in the country. Students who complete a transfer degree program (A.A. or A.S.) will generally find that all their courses are accepted for transfer credit. Students who complete a specialized degree program (A.A.S.) or who transfer before completing a degree will generally have their courses evaluated for transfer credit on a course-by-course basis. Does Suffolk have a competitive sports program? Yes. Suffolk competes in Region XV of the NJCAA (National Junior College Athletics Association). Suffolk offers intercollegiate baseball, basketball, cheerleading, cross-country, golf, soccer, tennis and volleyball for men. Women compete in basketball, cheerleading, cross-country, equestrian, softball, tennis and volleyball. How can I get involved in extra-curricular activities? Students have the opportunity to gain leadership skills by getting involved with student government, Campus Activity Board, the student newspaper and literary magazine, as well as an array of almost 90 clubs and organizations. How large are Suffolk classes? The average class size at Suffolk County Community College is 30 to 40 students. This is unlike the lecture hall environment at many four-year colleges and universities that often have 200 to 400 students in each class. Are services offered for students with disabilities? Yes. We have disability specialists on each campus. Students have the option of self-reporting their disability when applying to the college. We contact students with disabilities before they enroll to assure that they have the appropriate individualized assistance. Is child care available on campus? Yes, child care is available on the Ammerman Campus and the Michael J. Grant Campus for children from six weeks to five years of age. Can I get credit for my "life experience"? Yes, if you have achieved college-level learning in your life and work activities, you may receive credit. Life experience credit is assessed by the college by means of examinations and portfolio evaluation. Can I still apply if I did not graduate from high school? Yes, you can! Suffolk can help you in one of several ways. Take a look at the special information for students without a high school diploma on this website. Am I too "old" to go to college? Never! You will find students of all ages and interests attending SCCC, and there are plenty of people here to help you get started. Do I still need my high school transcript? Can I work on campus while attending Suffolk? We have many students currently working on campus. Some qualify for the College Work Study program; others can work as student ambassadors. Students also find employment in offices on all three campuses. How do I change my curriculum? To change a curriculum to a non-matriculated curriculum, a form may be obtained from the Registrar’s office, Records Change Form. To change a curriculum to a restricted curriculum, a form may be obtained from Admissions, Readmission/Change of Emphasis form. I have no idea what I want to do. Can you help me? Being undecided and searching for a career can be exciting but scary. Try telling yourself that you are just beginning your journey into discovering who you are, what you want to do, and where you want to go. While the answers may not come easily, you can begin by making full use of the resources available to you at Suffolk. Start by checking out the Career Planning Process in this Web site. Then, make an appointment with a career counselor to learn more about your interests, values, and abilities and discuss your educational and career plans. The career services/cooperative education office on your campus can help in a variety of ways. Professional staff is available to discuss your qualifications, skills, interests, and general career direction. They can help you determine the type of job you are looking for and help you become aware of appropriate job opportunities. In addition, they can help you develop your skills in such areas as résumé writing, interviewing, and job search strategies. How can I get experience in the field that I am studying? A wonderful way to gain experience related to your major is through a cooperative education or internship program. These programs offer you an opportunity to gain work experience in your field of study, earn academic credit, and, in the case of cooperative education, even get paid. Check out the Cooperative Education and Internship section for additional information. How can I get a job on campus? You can find employment on campus in one of several ways. First, if you qualify for financial aid and have been given a Federal Work-Study award, you will be able to find a position in a campus office or department. You can also contact the private vendors who run the bookstore and the cafeteria and apply for a part-time job directly through them. In addition, it is not uncommon for academic departments, learning centers, and administrative offices to hire students, either as tutors or student aides. Check with your campus Career Services office for more information. Can you help me write a résumé? The professional staff in the Career Services/Cooperative Education Office can help you develop a résumé that presents your education, skills, and experiences in the best possible way. Whether you are looking for a job now or want to update your résumé for future use, it's best to give it that marketable edge. Check out the résumé links in the Conducting Your Job Search section, and then schedule an appointment to meet with a counselor today. Where can I go for the best information on the college's payment requirements? You may ask questions at any campus Cashier's Office, or you may refer to other portions of this Web site. 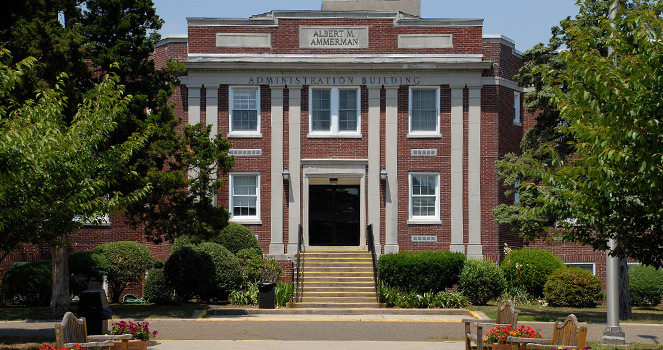 Cashier's Offices are located in the Ammerman Building at the Ammerman campus, Caumsett Hall at the Grant campus and the Peconic Building at the Eastern campus. What steps must I take for my registration to be considered complete? confirmed your attendance on the Web if your financial aid covered your entire balance. Late registration begins one week prior to the first day of the session. If you register late you will be charged a $30.00 late fee. How much must I pay before I start classes? if financial aid covers all of your tuition, confirm your attendance on the Web no later than the due date on your bill. When should I pay my bill? You must pay your bill by the due date printed on the bill. Otherwise, you will lose your schedule. Where/How can I pay my bill? at any of the campus Cashier Offices. How does the Tuition Payment Plan (TPP) work? If you qualify, the TPP allows you to pay your bill in three installments. You will be charged a $50.00 non-refundable fee to use the TPP. Students who miss the second and third payments are charged a $30.00 late fee for each missed payment. You can sign up for the TPP by mail, at the college Web site or by visiting any campus Cashier's Office. Who can use the TPP? Students who owe the college more than the cost of three credits are allowed to use the TPP for the spring and fall semesters only. The TPP cannot be used for non-credit courses. The TPP rules are on the back of your bill. The front of the bill shows the amount you must pay to sign up for the TPP. Who is responsible for my college charges? You are responsible for ALL tuition and fee charges. Even if another (third) party has agreed to accept your entire liability, if they don't pay, you are still liable. Who else can help me pay my tuition? You can use other funds to cover your tuition and fee payments if you have valid documentation. This documentation may include financial aid awards, scholarships, and agreements from third-party agencies who guarantee your payment. Documentation from the third-party agency which states that the agency will pay all or part of your bill must be brought to the Business Office. The campus business officer will make the determination to accept or reject the deferral. The college will accept a third-party agreement only if there are no grade or attendance conditions specified. If the third party doesn't pay the college, you are responsible for payment. What should I do if my bill says I don't owe money to the college? If the balance printed on your bill says "$0" (zero) it means EITHER you paid your bill in full OR financial aid has fully covered your charges. If financial aid has covered your charges, then you must confirm your attendance on My SCCC no later than the due date listed on your bill. What happens if I'm a zero balance student due to receiving full financial aid, and I don't confirm my attendance? Your schedule will be cancelled. Will my bill reflect my financial aid award? If your financial aid has been approved, your bill will reflect your award. If you received an award notice but there is no financial aid credit on your bill, you must contact your campus Financial Aid Office. Will my bill reflect scholarship awards? If an award was made, it will be posted to your account and will be reflected on your bill. If the award was not received in time, it will not appear on the bill. If you were notified that you received a scholarship and it is not appearing on your bill, you must contact the office that notified you of the scholarship. What happens if the amount I owe changes after I pay my bill? If your charges go down, a refund check will be mailed to you sometime after the third week of the semester. If your charges go up, you will receive a bill for additional monies owed. How are tuition and fee refunds calculated? Refunds are determined by the start date of the session, not the date of the classes you take, the length of the class, and whether or not fees are refundable. Non-refundable fees are NOT refundable once school starts; refundable fees are. For classes more than eight weeks long, 100 percent of tuition and refundable fees are refunded before the start of the session. After that, 75 percent is refunded in the first seven calendar days (days 1-7); 50 percent is refunded in the next seven days (days 8-14); and 25 percent is refunded in the following seven (days 15-21) days. After that, there are no refunds. For classes eight weeks long or less, 100 percent is refunded before the start of class and 25 percent is refunded in the next seven calendar days (days 1-7). The only exception to this is for a class that is less than one week in length, where students must withdraw before the first meeting in order to receive a refund. No. Only some fees are refundable. What happens if I do not pay all the money I owe? You will be charged late payment fees of $30 each time you don't pay your bill. This can get expensive, so you are strongly advised to pay your bills. At the end of the semester, you will receive a final demand for payment letter. If you do not pay after receiving this notice, your account will be referred to the college's collection agency for action. In addition, you will have a hold placed on your records, and will be blocked from registering for a future semester. What happens if my account is referred to a collection agency? If your account is referred to a collection agency, your amount due will increase to cover the collection agency charges, fees, interest assessments and other costs associated with collection activity. Who is allowed to pick up my child? Your child may be picked up only by the people that you have authorized in writing, and are listed in our files, to do so. Do I have to provide food for my child? Breakfast, lunch, and snacks are provided for all children by the center. We serve balanced, nutritious meals and snacks. Parents of infants may provide their own formula and baby food or choose to use ours. Who prepares the food that is provided at the center? Our lunch is prepared by the campus cafeteria and transported in certified carriers to the center. Breakfast and snacks, which are usually foods that require no cooking (e.g., cereal, milk, fresh fruit, etc. ), are provided by the center. Do I have to provide diapers and wipes for my child? Parents need to supply diapers (not pull-ups) for their child and a small box of wipes labeled with their child's name. What happens if I don't want my child to go outside when the group goes outdoors and are there any outdoor activities when there is bad weather? All children in the group are required to go out together as part of the day's planned activities. We go outdoors to play every day except during rainy or frigid weather. Can I bring my child if he/she is sick? Children who attend the center must be free of communicable disease and be able to fully participate in our program. Therefore, children who are sick must stay at home until well. Is my child allowed to bring personal belongings from home? Children are welcome to share books, tapes or curriculum materials with their friends; however, children should leave their toys at home. Infants and toddlers who are experiencing separation anxiety may bring something comforting from home to ease their transition. Do you provide educational preschool activities? Our centers offer a complete program of daily activities designed to enhance the physical, emotional, social and intellectual needs of each child in an age-appropriate environment. When should I enroll my child? You should try to enroll your child as soon as you have registered for classes for the next semester. Children who are currently enrolled in our centers are given priority during the priority registration period. Following this two-week period, enrollment is on a first come, first served basis. Does my child need to be toilet trained to attend your center? Children under the age of three do not need to be toilet trained. When your child enters the older groups (i.e., 3-5 year olds), it is necessary to be toilet trained. What is the child to teacher ratio? Our centers always maintain the state-required ratios and often exceed what is required. In the infants and toddler rooms (i.e., children under the age of three), the ratio is 4:1, or 5:1 for a group of 10. In the older groups (i.e., 3-5 year olds), the ratio is 8:1. How do you work around my class schedule? We make every effort to help parents customize their schedules in order to meet their educational and personal needs, although a three-hour per day minimum is required. Our goal is to work out a schedule that will help you succeed in your classes and graduate. What happens if my child gets sick in school? The director has access to your schedule and will be able to contact you in class. If we are unable to contact you, we will call the emergency numbers that you have provided when enrolling your child. If there is an emergency and we cannot find you or your contacts, the director of the center will take the appropriate action as explained in the Parent's Handbook. How do you check the staff before hiring? All center staff are fingerprinted and cleared by the New York State Clearance Board. In addition, the director also carefully checks references from previous employment. New employees are on probation for the first six months, and all employees are supervised and evaluated on a regular basis. What is the range of pay? Although monetary compensation is appreciated, this program is meant to provide a learning experience while earning credit. The college is mindful of the guidelines for Fair Labor Standards for Internship Programs as established by the U.S. Department of Labor. Pay is determined by the employer and often depends on the level and type of skills required. Positions in many fields are unpaid. Always discuss pay before accepting any position. Where are the positions located? The majority of students work within a 20-mile radius of school or home, but it may be necessary for you to travel further for the experience that suits you best. Some students travel into NYC, to Florida for the Disney co-op, or to Albany to work in the State Senate; we have had students as far as Sydney, Australia and Rabat, Morocco. The possibilities are endless, but only if you seek them out. What type of Co-op/Internship does Suffolk offer? The co-ops/internships we offer are a reflection of what's going on in the world of work. They may be with companies, home-based businesses, government, schools, or other non-profit organizations. The degree of responsibility varies with each placement, depending on the needs of the employer as well as the your skills, maturity, and academic background. The description of your experience should be discussed before accepting the offer. I already have a job. How can I fit another one into my schedule? The majority of students attending Suffolk are employed, so most of our students are in this situation. Remember, since this is a credit-bearing course it is considered part of your course load; therefore, you can schedule the time needed as you would for any other course. The time you spend in the field is in place of additional class time, research, testing etc. In addition, the employers who hire our co-op and internship students understand that being a student comes first so, except in certain situations, they are generally willing to work around your school schedule. Please be aware that blocks of time of 4-5 hours are preferred by most employers. What is the purpose of the co-op/internship seminar? The seminar gives students the opportunity to thoroughly evaluate their learning experience and their performance on the job, to develop workplace skills in such areas as communications and problem solving, and to learn from the experiences of their classmates. In addition it keeps students directly connected to a faculty member from the program and provides support for issues and to promote professional development through faculty supervision and peer-to-peer support. When are co-op classes offered? Class schedules differ for each program and campus and often change from one semester to the next. Check the schedule of classes for current days and times. When should I enroll in a class? It is best to speak to the co-op representative on your home campus, or area faculty in your curriculum, well before enrolling in a co-op program (i.e., during priority registration would be the perfect time). Some of the classes will be blocked for enrollment until you have emailed to internships@sunysuffolk.edu. Be sure to include your name, student ID number and the designated course. This prescreening assures you that you are eligible, that you are in the right seminar, and that the co-op representative will have ample time to work with you to find the right experience. Am I able to continue working after a co-op or internship course? Our students are sometimes asked to stay on for part-time or full-time work after completing the program. Many employers and students use the cooperative education or internship placement as an opportunity to check each other out to see if a long-term commitment is desirable. Once you have completed the course requirements and the semester is over, it's up to you and the employer to discuss the terms of any future employment. Employment after a co-op/internship experience is not guaranteed. Does the college provide psychoeducational testing for students? No, it is your responsibility to find an outside agency or psychologist that is qualified to do any psychoeducational testing that may be needed. Contact the disability services counselor on your home campus for a referral list. If I'm coming to Suffolk directly from high school, do you automatically know what classroom and testing modifications and services I need and have them in place for me at the start of my first semester? Not automatically. Information about your disability or the services and accommodations you received in high school are not sent to Suffolk without your written authorization. Therefore, it is your responsibility to notify the disability services counselor that you are requesting accommodations, and then to provide the supporting documentation that is needed. After your documentation is reviewed, you will meet with the counselor to review the approved, reasonable and appropriate accommodations and services. You will be given a laminated letter to confirm your accommodations which must be shown to your professors in order to utilize the accommodations. Does Suffolk provide special classes for individuals with disabilities? There are no special classes for students with disabilities. In addition, while certain accommodations and adjustments in the academic program are possible, all students, regardless of disability, must satisfy the essential academic requirements of their specific courses as well as their programs of study. If special testing arrangements are made, does it mean the person proctoring the exam can help me with the answers? Special test-taking arrangements are limited to such things as extended time, a special location, an alternate testing format, use of a reader, etc. Proctors may not assist you with the content in any way. Will the instructors have access to my psychoeducational evaluation and all the details of my disability? No, the specific details and any personal information about your disability are considered confidential. However, your instructors will be notified that you have a documented disability and are therefore entitled to receive certain services and accommodations. In addition, you will be asked to give the disability services counselor permission to discuss the general nature of your disability with faculty as it relates to your academic progress. How can I obtain a handicapped parking permit? Handicapped parking permits are available from your town office after showing proof of a physical disability and the necessary vehicle information. Temporary permits are also available from your town for disabilities lasting at least four weeks. For other temporary medical conditions that require special parking privileges, contact the Health Services Office on your home campus. Do I have to let the professor know in front of the entire class that I have a disability? No, the information regarding your disability is a confidential matter. Your professors will be notified by letter that you have a disability and are entitled to certain services and accommodations. We suggest that you meet privately with your professors during their office hours to discuss how these services and accommodations will be provided, and to discuss any additional details that may be important to your academic success. What should I do if I feel my rights are being violated (e.g., my professor won't allow me to use a tape recorder in class (or some other accommodation to which I'm entitled)? If you have been unsuccessful in trying to resolve the matter directly with the faculty member or other individual(s) involved, then you should contact the disability services counselor and/or the Dean of Student Services for an in-depth discussion of the situation. If the situation can still not be resolved to your satisfaction and you feel that your rights are being violated, you should contact the ADA compliance officer, the Executive Assistant to the President, for additional information about established grievance procedures. Distance education is defined by Suffolk County Community College in its broadest context to be inclusive of those teaching/learning methodologies and strategies that are computer-based and technology-mediated. The basic premise of distance education is to allow students to participate in the learning process from a distant location and not necessarily in real time. Synchronous distance learning classroom courses are, in fact, conducted in real-time and at more than one campus location. Asynchronous courses are those in which the course content, assignments and all student/student or student/faculty interactions are conducted online via computer over the Internet. Blended/Hybrid courses meet both on-campus and online during the semester. Telecourses require class meetings on-campus and viewing of video materials independently. Distance learning courses, then, are intended for students who may find that distance education suits their learning needs or lifestyles better than traditional on-campus instruction and these courses are offered to ensure maximum accessibility to Suffolk County Community College’s extensive educational opportunities. To view Distance Education Modalities (Course Types) refer to Online Education. Who should enroll in Distance Education courses? Distance Education courses are attractive options for individuals who are self-motivated and can work independently in a less structured learning environment. Distance Education courses are fully credited college courses. There is no difference in WHAT you are expected to learn. It is the WAY you learn that is different. As with any college course, you should enroll in distance education courses only if you are serious about studying college-level material each week without leaving your home to come to campus. When taking a telecourse, for example, you are required to view all of the video lessons, complete all assignments (e.g., essay exams, research papers, etc.) and read all printed material. Many students report that distance education courses actually require MORE work than traditional on-campus courses. These same students also report that they learn just as much, if not more, from a distance education course. The above are precisely the qualities needed to succeed in any learning environment, but the distance learning context puts special pressures on learners to be both independent and self-disciplined. Success in fully online asynchronous courses, as example, depends on a combination of personal motivation, the ability to understand and use computer technology, self-direction in managing coursework deadlines, and a willingness to use solely the written word to communicate with both the instructor and classmates. What about registration, tuition, and fees? Admission and registration procedures for distance education courses are the same as for on-campus courses. Tuition, including fees, for education courses is the same as for all other courses. Consult the college catalog or Web site for these particulars. For all distance education courses, there is an additional $75.00 fee. What equipment do I need to take a Distance Education course? How do I obtain books and supplies? All textbooks and supplies required for distance courses are available through the bookstores on the three campuses along with certain online-accessible materials. Is there an in-person contact? Am I admitted to the college upon registering for a course? Can distant education course credit be applied to a degree, and will the credits transfer? The content of distance education courses are equivalent to that of on-campus courses, and credits can be applied to SCCC degree programs. All of the policies and agreements pertaining to the transfer of credits to other institutions that are in place here at Suffolk apply equally to distance education and on-campus courses. See link below for services and resources available for distance education students and faculty. Email Security: Phishing Alert !! I've been getting emails asking for personal information. They seem to be from a bank, college or other trusted source. Should I respond? Have you received an eMail that wants you to supply personal info? PHISHING SCAM ALERT !! Many of us have received emails in our college accounts (or at home) that seem to have been sent by an institution that needs personal information from us. It may be a "bank" saying your account has been compromised, a "college" asking you to confirm your email address, or a common service like PayPal or eBay telling you that your account is restricted and may be locked or deleted if you don't respond right away! There's a good chance you are the target of phishing. "Phishers" may actually go so far as to set up a site that looks like a real bank, financial, or other site you are familiar with. This is not as difficult as you might think. Because of the open nature of the web, it is no problem to copy a legitimate company's images and graphics from their real site. Someone who would steal your personal information for fraud is not going to worry about stealing some pictures. This "site" will typically have links, such as a help link, home page, and others that link to the real company's own pages. They know you may click on some of these links in a quest to determine whether the swindler's page is the real deal. Don't be fooled! How do I guard against phishing? It's easier than you might think. Never click a link in an email that leads to a login page. Never fill in information in a form that was emailed to you. Never open an attachment that you are not expecting to receive from a trusted person that you personally know who has informed you it is coming. If you are presented with a login box on any page reached through an email link, don't use it! Better to go to the trouble of typing in the known URL (web address) of the institution and logging in from there. Sometimes legitimate institutions you know will send you emails with "convenience" links to look at merchandise, check your account, see your bill. Should you click these? Ask yourself: Am I absolutely sure this is what I think it is? If you have even the slightest doubt, isn't it better to be safe than sorry? If you receive a "scary" message that you are afraid might be real ("Your Hometown Bank account has been accessed by a person in a foreign country and money was withdrawn. If you did not authorize this transaction, access your account with the link below.") call your bank on the telephone with the phone number on your statement, or use the phone book. They will be happy to assist and may also want the information in the scam email. We would like to inform you that we are currently carrying out scheduled maintenance. In order to guarantee the high level of security to our business customers, we require you to complete "Wachovia Commercial Online Form". This is auto-generated email, please do not respond to this email. There is only one "clue" that might give someone not alert to phishing pause: the rather odd grammar of "we require you to complete 'Wachovia Commercial Online Form'." where an English speaker might expect to see an article such as "the" or "our" before the name of the form. However, suppose this "error" wasn't there? You can't be confident that an email trying to get information from you is real because it "looks right." This email seems to be from Wachovia bank according to the code in the links you can see. But links can be "spoofed" (counterfeited). If you could look at the code behind these "real" links you would see they don't link to Wachovia Bank at all. How do I connect with your students? There are several ways that your company can connect with our students. 1) You can schedule a date to recruit on campus during school hours; 2) you can post your job with Suffolk's Job Connection; 3) you can participate in employer events such as employer panels, guest speaker, and/or career/job fairs; and 4) you can partner with one of our cooperative education/internship programs and hire an intern. How can I post a job? Is there a limit? Is there a fee? The best way to post a job on campus is to utilize Suffolk's Job Connection. There are two ways to post: 1) you can go online to Suffolk's Job Connection and establish an employer profile using your email address a and newly created password, or 2) you can complete a Job Listing form and return it to our office and our staff will be glad to post it for you. There is no limit at this time on the number of job postings. There is also no fee for this service at this time. Posting the position on your own will avoid posting delays, due to high volume of postings. Can I post job announcements around campus? No. All job announcements are required to go through the campus Career Services office. Are there any restrictions regarding the kinds of jobs I can post? Yes, we have established Employer Guidelines. Is it possible to send a student email blast to advertise our job openings? Suffolk cannot send out an email blast for job requests that come to our offices due to the high volume of job opportunities we receive. Where can I post job fair information? All Career Services offices will accept your job fair information flyer provided that there is a full name of the contact person, physical address and phone number. Without that information, we will not post in our office. How do I participate in career/job fairs on campus? Please contact each Career Services office for assistance. Career and job fairs are usually held once a semester. Is there a fee for participating in career/job fairs? Yes, check with the Career Service office for more information. Am I able to host any event or workshop? Employers are welcome to contact the Career Services office to discuss opportunities for employer events and workshops. How do I go about setting up a partnership with Suffolk to hire interns? Suffolk has a number of academic courses that are specifically tailored for interns and co-op opportunities. By contacting the Career Services office you can begin working with the co-op/internship professional staff to begin setting up the partnership. All co-op/internship opportunities will not automatically be approved for participation in our programs. Call for more information. How do I apply for financial aid at SCCC? For fast results, file a Free Application For Federal Student Aid (FAFSA) electronically on the Web at www.fafsa.ed.gov. If this is your first time filing the FAFSA you will need to get a FSA ID to sign your FAFSA application. If you are dependent your parent will also need to get a FSA ID. A reminder notice will be mailed to continuing or transfer students who applied previously. Be sure to include Suffolk County Community College as your college choice on the FAFSA. Your first step in applying for a student loan is filling out the Free Application for Federal Student Aid (FAFSA). When the college receives your data from the Department of Education, some may be automatically awarded a Direct Loan. If your award package does not include a loan you can request a loan by filling out the "Loan Request/Adjustment Form" and submitting it to the campus Financial Aid Office. The form can be found on our site www.sunysuffolk.edu. Select Financial Aid, next select Printable Forms, and there you will see the "Loan Request/Adjustment Form." It can be either a subsidized loan (interest is paid by Department of Education while you are in school) or an unsubsidized loan (interest is added to the loan once the loan is disbursed), or both. If you are awarded both and you want a student loan, you must accept the subsidized loan first as it is in your best interest. Once you receive your award letter you will need to log on to the college web site at www.sunysuffolk.edu and accept or decline the award offer. If you are a first-time borrower you will need to complete an Entrance Interview and sign an electronic Master Promissory Note (E-MPN) at www.studentloans.gov. Once you complete these tasks the college will be notified and your loan request will be sent to the Department of Education for approval. How do I correct a Student Aid Report (SAR) if it does not have SCCC listed? You can make corrections to your Student Aid Report on line at www.fafsa.ed.gov. Enter the correct Title IV code: 002878 for the Ammerman Campus, 013204 for the Grant Campus, and 014153 for the Eastern Campus. How do I obtain a tax return transcript from the IRS? You can now print your tax return transcript online. Just log on to www.irs.gov and select under "Tools" - Get Transcript of your Tax Records - and follow the directions. If you are unable to print your tax return transcript you can call 1-800-908-9946 to request a copy. How do I Request IRS Verification of Non-filing Letter? How do I confirm my attendance? From the College home page, log on to "MYSCCC" by entering your username and password. Click on the "Students" tab. Click the "Web Pay" icon. Choose the semester you are confirming. "Congratulations." PRINT THIS PAGE FOR YOUR RECORDS. If you need assistance contact your campus Financial Aid Office or campus Business Office. When will I hear about my financial aid award? After applying for financial aid with the FAFSA you will receive an email with a link to your Student Aid Report if you included a valid email address on your application. If you did not include an email address you will receive a paper Student Aid Report (SAR) with the results. If Suffolk County Community College was included on your application, we will receive those results electronically and you will receive an award or a request for additional information within 2 weeks. A new tool, the IRS Data Retrieval tool, allows many applicants to transfer their, or their parents, tax information from the IRS. This helps speed the process for many applicants. What is the availability of scholarships at SCCC? Suffolk awards over $450,000 a year in scholarships to new and continuing students. A scholarship search is available at sunysuffolk.edu, Financial Aid, Sources of Aid, Suffolk Grants and Scholarships. What assistance can the Financial Aid Office give me? Assistance is always available in understanding the various financial aid programs and with the application itself. The campus Financial Aid Offices provide individual counseling, group workshops, and scholarship searches. The Financial Aid Computer Lab is also available to help you file your applications electronically. There are workshops available at each campus, including General Financial Aid Information, Completing the FAFSA and Completing the FAFSA on the Web, Scholarship Search and Exit Interview Sessions. Contact our office for more details. Will I pick up my loan or grant checks at the college? No, your grants and or student loans will first be applied to your bill for tuition and fees and then the balance will be mailed to you directly by the Business Office. You should receive any loan proceeds in the first month of the semester and any remaining grant funds before mid-semester. Will financial aid pay for my books and supplies? Students who receive a Pell Grant in excess of tuition and fees may utilize a school credit in the campus book store. If a student does not utilize the school credit, a refund will be sent directly to the student. A student can opt out of this credit by notifying the campus Financial Aid Office in writing. Why doesn't my loan appear as credit on my tuition bill? In order for this to happen, the College must receive an electronic approval from the Department of Education. This happens 1-2 weeks after you complete the following steps: 1. Accept your offered loan on the student portal (www.sunysuffolk.edu, MySCCC). 2. First time borrowers at SCCC must complete Loan Entrance Counseling and sign a Master Promissory Note online at www.studentloans.gov. Instructions are available on our website. In addition, you must be: 1. in good academic standing and matriculated. 2. enrolled for at least six credits required in your current degree program. If you would like to check your status you may speak to a Financial Aid representative. Can I expect the same award each year? Your awards may change each year due to availability of funds or changes in eligibility criteria, family income, etc. Can my financial aid award be taken away or reduced? Yes, your original awards are based upon your projected enrollment. Changes in actual enrollment, including non-attendance or course drops/withdrawals, may reduce or cancel this aid offer. Also, if you drop/withdraw all courses before the 60% point your aid will be pro-rated based on the Return of Title IV calculation. This means that aid that had already been awarded and disbursed to you may need to be returned. I am only registered for 4 credits. Can I still get a student loan? No, the federal government requires students to be enrolled for at least 6 credits in their degree program in order to obtain a student loan. I am a disabled student. Can I receive part-time TAP? Yes, you can receive part-time TAP as a disabled student as long as we have sufficient documentation that you are disabled as defined by the Americans with Disabilities Act. For more information, please check with the Special Services Counselor at your home campus. Once awarded financial aid, can I lose my eligibility? Each semester, your grades will be reviewed to see if you have met the satisfactory progress standards (see Maintaining Eligibility). If you lose your eligibility as a result of extenuating circumstances, you can appeal the decision through a waiver process. Also, if you totally withdraw during the semester, your aid will be proportionally reduced and funds may be returned to the Department of Education. Do I need to apply for financial aid each academic year? Yes, continuing students will receive a renewal reminder email application by the first week in December. Also, you will receive a reminder to file your FAFSA from Suffolk County Community College via email. What tax year's data do I use to file my 2018-2019 FAFSA? As of 2017-18, the Department of Education requires students to use prior year data. For example, for 2018-19 you will be entering data from your 2016 tax year. Verification is the process whereby the Department of Education selects students randomly for colleges to check the validity of a student's FAFSA information. There are currently three verification tracking groups: V1, V4, and V5. If selected you will be asked for additional documents such as a Verification Form and Tax Return Transcripts for you and/or your parent(s). If married, we will need a Tax Return Transcript for you and your spouse. The Questions and Answers on this page are for general informational purposes for Suffolk County Community College students and have not been approved by the IRS or the U.S. Treasury. This is not an official document and is not intended to provide income tax reporting advice. Please consult the IRS or a tax professional for answers to specific questions about your personal income tax return. The 1098-T tax form is a Tuition Statement provided by higher education institutions to all eligible students who pay qualified tuition related expenses (including non-resident tuition) during the calendar year. The 1098-T form may be used by students or parents to claim education credits on their federal income tax returns. Specific information on the 1098-T form can be found at www.irs.gov or by contacting the IRS at: 1-800-829-1040. Why is my Social Security Number (SSN) of Individual Taxpayer Number (ITIN) required for the 1098-T tax form? Federal regulations require students to furnish their Social Security Number (SSN) or Individual Taxpayer Identification Number (ITIN) for federal reporting requirements. These requirements apply to any student, regardless of whether the student seeks or intends to seek tax credits. A student who does not provide their SSN or ITIN upon request by the educational institution may be subject to a fine imposed by the IRS. Why is the "STUDENT'S social security number" field on my 1098-T tax form blank? Students who did not provide their Social Security Number or Individual Taxpayer Identification Number when they applied to Suffolk County Community College will find the “STUDENT’S social security number” field on their1098-T tax form blank. If you have a SSN or ITIN please complete Form W9-S and drop off your signed and dated form at any of the three campus Bursar's Offices. If you do not have a SSN/ITIN, please visit www.irs.gov to determine which one you qualify for and how to apply for it. Once you’ve received your SSN/ITIN, please complete the W-9S form and return it to one of the three campus Bursar’s Offices. What is included in Box 1 - Payments received for qualified tuition and related expenses? The amount included in Box 1 includes all reportable payments for qualified tuition and related expenses (QTRE) received by Suffolk County Community College on behalf of the student. To assist you in determining the amount of QTRE paid for the calendar year, it is recommended that you download a copy of your billing statement for each relevant semester. Account statements are available via the Student Portal. Log on to the Student Portal (MySCCC) and select the “Students” tab. From the drop-down menu, select “Bill and Account Information”. Choose My Statement and Payment History from the My Bill and Statement section. What fees are not included in qualified expenses? Fees not required for attendance at the College are not included in qualified expenses. These include but are not limited to placement and testing, traffic violations, ID cards, late fees, tuition payment plan enrollment fee, returned check charges, fines, emergency loans, administrative fees, transcript fees, insurance fees, and library fines. Why isn't there an amount in Box 2? Beginning with the 2018 tax year, Box 2 is no longer used. Why is there a check in Box 3? Box 3 will be checked on the 2018 1098T to indicate the change in reporting amounts paid instead of amounts billed. What amounts appear in Box 4 - Adjustments made for a prior year? This box shows the amount of any tuition and fees reductions in the current calendar year for charges that were billed in a previous calendar year. What is in Box 5? The figure in Box 5 - Scholarships or Grants includes scholarships, grants and, if applicable, payments made by a third party under a formal billing arrangement (i.e., outside scholarships, employer provided educational assistance, military, etc.) which have been administered by the College. If you received other forms of outside scholarships and grants not administered by Suffolk County Community College, it is your responsibility to adjust the figure accordingly. Third party payments do not include payments made by your parent, other individuals, or AmeriCorps. I received an educational loan. Is it reported in Box 5? No. Loans are not included on form 1098-T.
What amounts appear in Box 6? This box shows the amount of any scholarship, grant and, if applicable, third party reductions in the current calendar year for aid that was credited in a previous calendar year. Why is there a check in Box 7? Box 7 will be checked if your qualified tuition expenses include charges for an academic period that begins after the end of the calendar year (that is, you made a payment for qualified tuition and related expenses in December for the following Spring semester). Why is there no check mark in Box 8 - at least part-time? Box 8 will not be checked if you were not enrolled for half-time status during an academic period during the calendar year. Suffolk County Community College checks this box if you were half-time or more for at least one term beginning during the year. This information might be important in determining certain tax credits. Did the college send a copy of the form to the IRS? Yes, the IRS requires institutions to file information returns to assist taxpayers and the IRS in determining the amount of qualified tuition and related expenses. Should I attach the Form 1098-T to my tax return? No. The form is an informational report to you, the primary purpose of the 10968-T is to inform you that Suffolk County Community College has provided the required information to the IRS to assist them in determining who may be eligible to claim the tuition and fee deduction or education credits. You should keep the Form 1098-T in your tax file as backup. How do I access my 1098-T online? Current and prior year 1098-T forms are available via the Student Portal. Log on to the Student Portal (MySCCC) and select the “Students” tab. From the drop-down menu, select “Bill and Account Information”. Click on the “Access Your 1098-T from Here.” From the My Bill and Statement section. What if the information on my 1098-T is incorrect? Who can request information on my Form 1098-T? Only the student. Federal rules do not allow the college to release information to others. Why am I receiving a 1098-T tax form when I never attended Suffolk County Community College? If you received College credit for a course taken in High School, you may receive a form 1098T from the College. Please consult the IRS or a tax professional to determine the tax implication of these expenses. I am an international student and paid enrollment fees and non-resident tuition last year. Will I receive a 1098-T tax form? If you are an international student with 1098-T reportable transactions for the past year, you will be issued a 1098-T. I am an international student; can I claim a credit? Please review IRS forms, instructions, and publications or consult a tax professional to determine your eligibility for a tax credit. I spent a lot on books and had an account through the book store that the college paid out of my grant or scholarship funds. Are these included as payments? No. Payments made for books are not included in Box 1. Please consult the IRS or a tax professional to determine the tax implication of these expenses. I took a non-credit class at the college but did not receive a 1098-T form; why? The college is not required to report charges for non-credit classes. About SCCC has directions and maps to all campus locations. Do I need proof of measles, mumps, and rubella immunization to attend SCCC? In accordance with New York State Public Health Law section 2165, all students matriculated in a degree program who were born on or after January 1, 1957 must provide acceptable written proof of adequate immunization against measles, mumps, and rubella. The Certificate of Immunization outlines the exact requirements. What happens if I don't have all of my immunizations? In order to register for classes, you must show at least partial compliance with immunization requirements, which is defined as one measles, one mumps, and one rubella vaccine. You will then be allowed to register and begin classes, but you must complete your immunization requirements within the first 30 days of the semester or you will be suspended from the college. What happens if I can't find any immunization records? Basically, you have two choices. You can either get re-immunized or you can ask your doctor to do a titer (i.e., blood test) to determine if you have immunity to measles, mumps, or rubella. If any of your blood titer tests are negative, you must get the appropriate immunizations before you can register for classes. If I have a permanent or temporary disability, where can I park on campus? A student with a permanent (blue) or temporary (red) municipal handicapped parking permit may legally park in any official handicapped parking space at the college. If you have a temporary disability or other medical condition that requires special parking arrangements, contact the Health Services Office on your home campus. If I am covered under the student accident insurance plan and also have medical coverage under another insurance plan, where do I send bills for medical expenses if I have an accident? What is the requirement regarding meningococcal meningitis? In accordance with New York State Public Health Law section 2167, all students enrolled at Suffolk County Community College, both matriculated and non-matriculated, are required to acknowledge that they have received information about meningococcal disease and vaccination. Students must indicate, on the Health History and Meningitis Acknowledgement form, either that they have received the meningitis vaccine within the past 10 years or that they have decided not to obtain the meningitis vaccine. All students who have received the vaccine must submit appropriate documentation of the vaccination. I was absent from school due to an illness. Do I need to bring in documentation from my doctor? How do I make up my work missed in class? Students should speak directly with their professor(s) regarding missed assignments and other course responsibilities. The Health Services office does not require a physician's note unless the absence was due to a communicable disease as determined by the New York State Department of Health. In such situations, medical clearance from a physician is required before a student may return to campus. For the safety of the campus community, we request that anyone displaying signs or symptoms of a potentially communicable disease remain off campus and seek care from a health practitioner. Why should I start my education at Suffolk County Community College? Many international students who attend a community college plan to obtain an associate's degree and later transfer to a four-year institution to complete a bachelor's degree. After submitting a complete F-1 application, the College will need approximately six to eight weeks to complete the admissions process and acceptance to the college. What happens after I am accepted by Suffolk? After you are accepted to Suffolk, the International Student Counselor will prepare a SEVIS (Student and Exchange Visitor Information System) Certificate of Eligibility (Form I-20 A-B) and acceptance packet which will be delivered to you or your sponsor according to your instructions on the application for SEVIS Form I-20. What must I do after I receive my SEVIS Form I-20 and acceptance packet? Review all the information on the SEVIS Form I-20 for accuracy; pay the I-901 fee for registration into the SEVIS system and set up an appointment for an F-1 student visa interview at a U.S. embassy or consulate. When can I travel to the United States after my F-1 visa is approved? An F-1 student visa can be issued up to 120 days in advance of your program start date. However, a student will not be allowed to enter the United States with an F-1 status no earlier than 30 days before the program start date as listed on the SEVIS Form I-20. What must I do once I arrive in the U.S. as an F-1 student? Inform the International Student Counselor at Suffolk that you are in the U.S., and make an appointment to see the counselor. Bring in the following documents at the time of the appointment: your passport/visa, SEVIS Form I-20, Form I-94, and immunization records. Can I travel outside the U.S. during a school breaks? Yes, students with an F-1 status can travel during a school break period. An authorizing signature from the International Student Counselor/DSO is required. Many international students who attend a community college plan to obtain an associate's degree and later transfer to a 4 year institution to complete a bachelor's degree. After submitting a complete F-1 application,the College will need approximately six to eight weeks to complete the admissions process and acceptance to the college. Review all the information on the SEVIS Form I-20 for accuracy. Who does the Office of Legal Affairs represent? The Office of Legal Affairs provides legal advice and representation to Suffolk County Community College which includes the Board of Trustees, Administrators, Faculty and Staff in their official capacities. What type of legal services does the Office of Legal Affairs provide? The Office of Legal Affairs is responsible for providing a full range of services to the College in a variety of practice areas. Some of those areas include labor and employment, business matters, contract review, litigation, environmental, copyright, property acquisition and student and faculty issues. Does the Office of Legal Affairs provide personal legal advice? No. The Office of Legal Affairs provides legal advice and representation related to College business only. Can I retain outside counsel for a College matter? No. Only the Office of Legal Affairs can retain outside counsel. I need to have something signed by the College, who has the authority to sign? The President, Executive Vice President and certain other senior officers are authorized to sign on behalf of the College. Contact the Office of Legal Affairs if you have questions as to whom should sign a particular document. Am I indemnified if I am sued in connection with College business? Generally yes, as long as you are acting in good faith and in the scope of your employment. What should I do if someone asks me to accept legal papers (such as a summons or subpoena) on behalf of the institute? You should refuse to accept these documents and refer the person to the Office of Legal Affairs. You should then call the Office of Legal Affairs at (631) 451-4235 to alert us that someone is coming over with legal documents. If you receive a summons or subpoena in the mail, or mistakenly accept one from a process server, please contact the Office of Legal Affairs immediately. Note that a delay in responding to these documents could have serious legal consequences for the College. Who can accept service for Suffolk County Community College? A member of the Office of Legal Affairs may accept properly made service of process on behalf of the College or the Board of Trustees. However, if a member of the College community is being sued in his/her personal capacity, typically that individual must be served personally unless you authorize the Office of Legal Affairs to accept service on your behalf. What should I do if a government employee comes to my office and asks for information? Direct them to the Office of Legal Affairs. What should I do if I receive correspondence from an attorney asserting a claim against me (in my professional capacity), my department, or the College? You should immediately fax all legal correspondence relating to the College to the Office of Legal Affairs at (631) 451-4974 and hand deliver or interoffice the original. I have received a request for a student's educational records. What should I do? Federal law and College policy governs the confidentiality of student records. Do not respond to any request for student records without speaking first to a representative in the Office of Legal Affairs or the College Registrar. How can I join the Suffolk CCC Music Orchestra? Both music majors and non-majors are welcome to join the orchestra and is also open to community members. It rehearses Monday and Wednesday afternoons from 4:00 p.m. to 7:00 p.m. in the Southampton Building, Room 20. Rehearsals are also open to the public. How can I join the SCCC Jazz Ensemble? For audition requirements or for more information about the ensemble contact Professor Zamek. For audition requirements or . The Ensemble is composed of students drawn from the SCCC student body of all three campuses (both music majors and non-majors). The Jazz Ensemble also welcomes the participation of community members and faculty. Auditions are required for all members and are held during the first week of classes. The SCCC Jazz Ensemble has a maximum enrollment of 23 members broken down as follows: Five Saxophones, Five Trumpets, and Five Trombones; plus a Rhythm Section comprised of a maximum of two each on Piano, Guitar, Bass, and Drums. How can I join the Gospel Choir? How can I join the Symphonic Band? What are the entrance requirements for the Music Program? All students interested in pursuing a career in music are welcome to enroll in our program. Before registering students must take a music theory placement exam. Students will then be placed into appropriate classes to start the program. Please call the Music Department office, 451-4346, to schedule your placement exam and enroll in the program! MySCCC is the college's student portal. It can be accessed by selecting the MySCCC link from the top of the College homepage. MySCCC is the College's primary point of access for information and services. 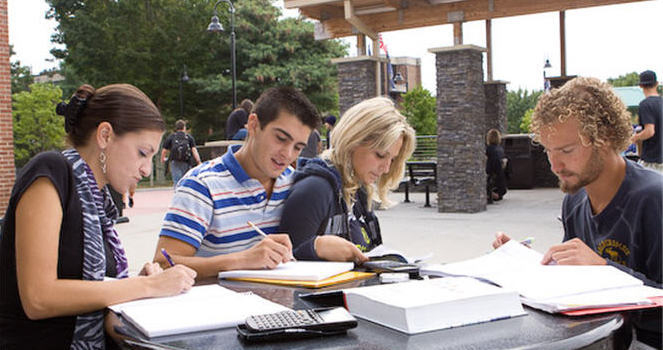 In MySCCC you are able to receive important announcements; access your student email account; access information such as your schedule, grades, course descriptions, holds and degree status; and perform many interactive functions, such as registering for classes, updating personal information and performing degree audits. If you have never logged into MySCCC, select the “Create a Username and Password” link from the MySCCC login page. What are the hours of operation for MySCCC? MySCCC operates 24/7/365s by 7 days. Individual services within MySCCC may be occasionally unavailable for short periods of time between midnight and 7:00 a.m. for maintenance and upgrades. NOTE: During the bill payment & descheduling periods, MySCCC will close WebPay and Registration at 10 p.m. each evening. Email accounts are provided to SCCC students currently enrolled in credit classes. Accounts will be active while the student is enrolled at SCCC. Students can access their email accounts through MySCCC. The college expects students to regularly access the MySCCC portal and maintain their college email account. Students are responsible for the information displayed in the portal and/or sent to their college email account. The My SCCC login procedure is enhanced to protect your information. If you are having trouble logging inhave logged in to MySCCC with your Student ID# and PIN, and have not yet used your new Username and Password, please log in with the Student ID# (for Username) and PIN (for Password) you've been using. If you have never logged into MySCCC, select the “Create a Username and Password” link from the MySCCC login page and follow the directions. If you are a current user, select the “Having problems logging in?” link from the MySCCC login page to check the status of your account and to view the password reset options. The problem may be a setting on your internet browser which is blocking cookies. You will have to adjust the setting to accept cookies. How do I access my grades in MySCCC? Once logged into MySCCC you will be viewing the Home tab. Quick Links for Students, on the left side of the page, contains a link "View Final Grades". Click this link. As grades are posted, they will be displayed. How long does it take to complete the placement tests? That depends on you and the number of tests you are required to complete. The Computerized Placement Test (CPT) involves reading, sentence skills, arithmetic and elementary algebra. You work at your own pace. The entire test takes 1.5-2 hours. How will I be able to take the computerized placement test if I've had little or no computer experience? Taking the test will not be a problem. The CPT is user friendly and there is always a person in the testing center to answer questions and provide assistance. What should I bring to the test site? You must bring photo I.D.. Scrap paper and pencils will be provided. No calculators or dictionaries are allowed. Should I guess if I'm unsure of an answer? Yes, this is an adaptive test. This means that the computer chooses questions for you on the basis of your answers to previous ones. Therefore, you must answer every question when it is first given. You cannot omit a question or return to it later. What if the placement test indicates that I'm not ready to take college-level classes? It is important to remember that testing is required because we want you to be successful. In order for this to happen, you must have the skills needed for college level classes; otherwise you may not be able to keep up with the required work. If you are placed into developmental courses such as Reading 098 or 099, English 009 or 010, or Math 001, 006 or 007, you will need to complete each class before moving on to the next one. If you are required to take developmental courses in two or more areas (i.e., English, reading, and/or math), you will only be allowed to take up to 14.5 credits each semester. What if I do well on the placement tests? If you do well, you will place out of developmental courses and be able to take all college-level courses. Students who do extremely well are encouraged to apply to the Honors Program or take some Honors courses. Who can certify that I am a student? Your home campus Registrar's Office. How can I make corrections to my student record? To change your name, address, telephone number, curriculum or Social Security Number, complete the Records Change Form and bring to your campus Registrar's Office. Course descriptions are available in the College Catalog or Catalog Supplement, or can be found through Programs of Study. Who answers questions about graduation? You are encouraged to discuss your degree requirements with your academic advisor or counselor. After you file the application for graduation, the Central Records Office will conduct a final evaluation of your transcript. Where can I obtain forms? How can I transfer credits to SCCC? You should arrange to have official transcripts from prior institutions forwarded to the Central Admissions Office. For an unofficial determination of how your credit might transfer to Suffolk, see the Transfer Evaluations Tables. Can I attend classes on more than one campus? Yes. Although you must designate one campus as your home campus, you are free to register and attend classes at any of our three campuses. Credits accumulated at any of our campuses will be reflected on your Suffolk County Community College transcript. Sufficient time for travel must be considered when registering for classes on multiple campuses. For example, 40 minutes from Grant and Ammerman or East and Ammerman, and one hour between Grant and East. The Family Educational Rights and Privacy Act is a federal mandate that insures the privacy of, and your right to inspect, your student records. Additional information is available through the Notice of Student Privacy Rights. How do I withdraw from courses? To officially withdraw from courses, fill out the course withdrawal form below and return it to any campus Registrar's Office. Note: Failure to attend classes or informing the instructor of withdrawal is not an official withdrawal. If withdrawing from all courses and receiving financial aid, you must see a Financial Aid counselor. How do I clear a hold on my records? The college will place a hold on your records and/or registration because of money owed, incomplete immunization records, academic standing or public safety violations. Access View Holds in MySCCC to see your holds and the appropriate office(s) to contact. Why did Suffolk County Community College redesign the academic calendar? The redesign of the academic calendar occurred for two primary reasons. First, the College is conscious of the many religious holidays and needs to treat all religious observations equitably. Second, many of the currently observed holidays do not fall on the same date every year, making it difficult to create a calendar that is consistent, efficient, and predictable, especially during the fall semester. For these reasons, discussion of a secular calendar began. The recommended changes allow for a calendar grounded in our mission as an academic institution by supporting equitable observation of all religious holidays, while also reducing conversion days, minimizing disruptions to class schedules, and facilitating the scheduling of all required class meetings. What was the process and who made the decision? The calendar committee consists of representatives from the Registrar’s Office, Student Affairs, Academic Affairs, the Faculty Association, and Faculty Governance, with representation from all three campuses. The committee reviewed peer institutions (local, statewide, private, and public) and considered county, state, and federal mandated holidays in the process. The committee then presented a recommendation to the President, Governance, the Board of Trustees, and the college community. What is the practice of other SUNY colleges and universities? Nearly all SUNY Campuses (two-year and four-year) do not observe religious holidays with the cancellation of classes. These colleges and universities have policies that ensure anyone observing religious holidays can do so without penalty or consequence. Suffolk County Community College has elected to follow this model. Is Suffolk County Community College a public or private college? Suffolk County Community College is a public institution, part of the State University of New York, and as a State institution, ensures equal treatment of all religious observations that fall during an academic semester. Do other New York State and Suffolk County Offices close for religious holidays? What do I do if I wish to observe a religious holiday? Any student or college employee (faculty, staff etc.) who wishes to observe a religious holiday should refer to the Suffolk County Community College policy that addresses the proper procedures to follow.